The Arnold Classic announces it will celebrate its 25th Anniversary during the 2013 Arnold Sports Festival in Columbus, Ohio. Flex Wheeler, Jay Cutler, Kevin Levrone, Kai Greene Among Former Champions To Be Honored; Inaugural Champion Rich Gaspari To Receive Lifetime Achievement Award. COLUMBUS, OH - The Arnold Classic will celebrate its 25th Anniversary during the 2013 Arnold Sports Festival by honoring all former past winners of the men's professional bodybuilding championships named in honor of Gov. Arnold Schwarzenegger, the sport's greatest champion. Dexter Jackson, who won the Arnold Classic, in 2005, 2006 and 2008, will try to tie Wheeler's record of four wins at the 2013 Arnold Classic. He is the only former champion in the 2013 field and will be making his 14th appearance in the Arnold Classic. "We look forward to welcoming all of our great Arnold Classic champions back to Columbus for our 25th Anniversary," said Jim Lorimer, who co-founded the Arnold Classic with Schwarzenegger in 1989. "The Arnold Classic has grown over the years into one of our sport's most prestigious events, and was the catalyst for the Arnold Sports Festival - the nation's largest multi-sport festival." The Arnold Classic has grown over the years to include five IFBB Professional League Divisions. In addition the Arnold Classic (professional men's bodybuilding) and the Ms. International (women's professional bodybuilding), which also debuted in 1989, the Arnold Classic Weekend also features the Fitness International (founded in 1994), Figure International (2003) and the Bikini International (2011). In addition to winning the first Arnold Classic, Gaspari's past titles also include Mr. America (now known as the NPC Nationals), Mr. Universe, Professional Mr. World and three-time runner-up at the Mr. Olympia. Over the past 15 years, Gaspari has developed a brand of supplements under the Gaspari Nutrition brand into one of the most formidable and popular lines in the world. Gaspari's determination and love for the sport of bodybuilding has helped his successfully transition from a competitive bodybuilder into an active CEO who tours the globe teaching fitness to others and supporting the sports of professional and amateur bodybuilding. 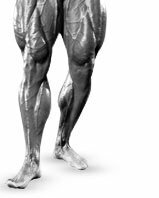 The Arnold Classic Lifetime Achievement Award was established in 2000 to honor the industry's legends for their contributions to the world of health and fitness. Previous winners include: Joe Weider (2000), Reg Park (2001), Jim Lorimer (2002), Frank Zane (2003), Bill Pearl (2004), Jack LaLanne (2005), Lee Haney (2006), Cory Everson (2007), Ben Weider (2008), Franco Columbu (2009), Sylvester Stallone (2010), Lou Ferrigno (2011) and Robert Kennedy (2012). Tickets are available through Ticketmaster or 800-745-3000. For more information, including schedules, locations and hours, visit arnoldsportsfestival.com.